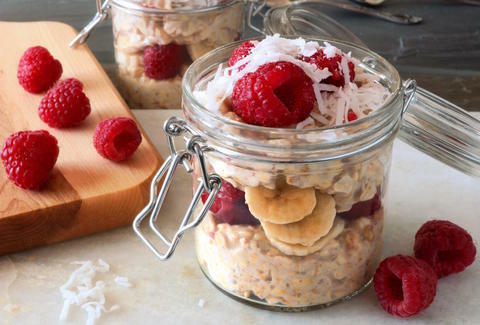 If you're unfamiliar with overnight oats, it's time to get acquainted. The concept is simple: healthy oatmeal that's left in some kind of liquid overnight will plump up more fluffy and creamy than if you microwaved it. 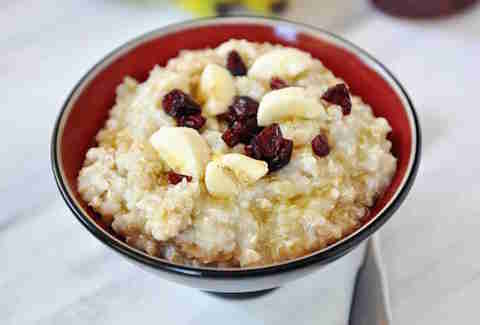 It's easier to make than regular, hot oatmeal, and is a morning time-saver since it's all ready to go when you wake up. 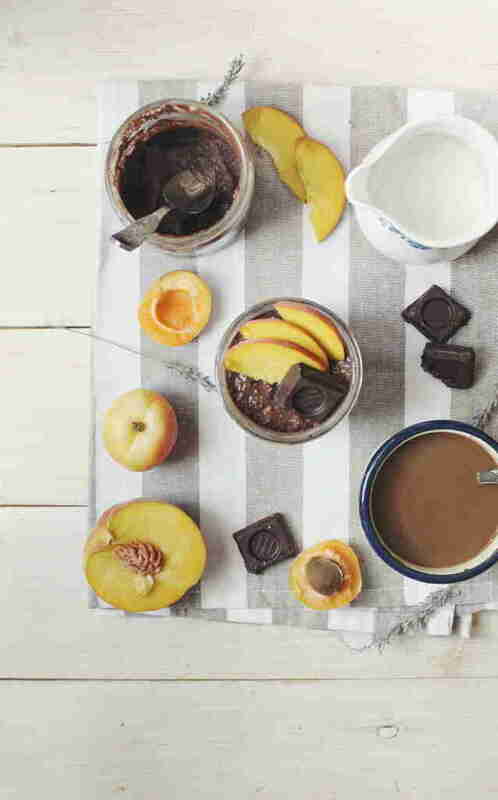 Plus, chilled oatmeal is actually a pretty refreshing summer breakfast. Most of these 13 savory and sweet overnight oats recipes have delicious additions to make them a bit more creative than your average bowl of porridge. They only take five to 10 minutes to throw together, but become wonderful all on their own, overnight, in your fridge. These overnight oats get topped off with homemade ice cream -- made from frozen bananas and soymilk -- and cacao nibs. The end result? A cross between pudding and mousse. Takes 10 minutes to throw together, and happens to be completely vegan. Get blending with the recipe here. This recipe takes tahini to new places. And that new place is a thick, creamy bowl of overnight oats. The nutty flavor pairs amazingly well with vanilla bean paste, bananas, and honey. Recipe here. Not sure we need to elaborate much here. It’s peanut butter, also known as one of earth’s greatest creations. However, we need to point out that this recipe requires only five ingredients -- including maple syrup, almond milk, and salted peanut butter -- and very little work. It’s so simple, you’ll be making these cool-and-creamy oats all summer. Bonus for your bod: 15g of protein. Get on that right here. This recipe is so easy and versatile – feel free to customize with your favorite toppings. Recipe here. This overnight oats recipe is as basic as they come, and not in a bad way. Oats, milk, salt. That’s it. Salt helps bring out the flavors. When it’s done resting overnight, all you do is heat it for a minute or two on the stove and you’re good to go. Recipe here. We’re really digging this yogurt-instead-of-milk thing for overnight oats. Since there are so many flavor options for yogurt, the combinations are nearly endless! This one uses French vanilla yogurt, pumpkin puree, and pumpkin pie spice. We know it may be a little holiday-esque, but it’s still good any time of the year. Recipe here. This one's for the picky eater, as it's dairy-free, gluten-free, sugar-free, vegan, AND low calorie. To be honest, we were surprised there were any ingredients left when we saw that tidbit, but fear not, because it is still delicious. Almond milk, vanilla extract, blueberries, and a drizzle of honey are all you need to make this easy breakfast pop. 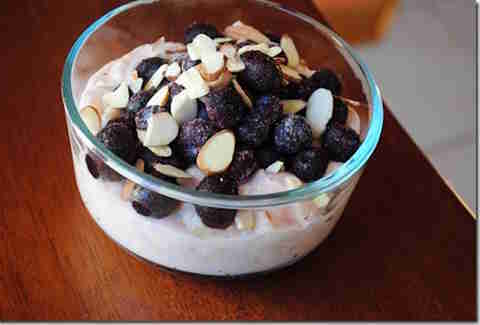 Sliced almonds add a nice crunch, too! Get the recipe here. Another recipe that uses yogurt instead of milk, which we are very OK with. The yogurt adds an extra-creamy texture while the oats get super fluffy and chewy as they sit overnight. Get the recipe here. Anything with that name would be hard to dislike, and this recipe uses a dollop of cream cheese and brown sugar to bring that icing flavor through. We are hardly complaining about the few extra calories here. 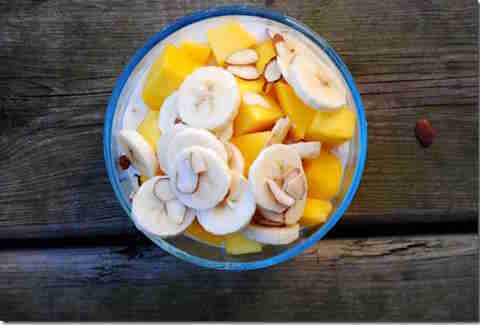 This tropical breakfast is not only deliciously different, but it also technically doesn’t have to be made overnight. Twenty minutes will do the trick. The addition of Greek yogurt here adds a tart creaminess as well. Try it out for yourself with the recipe. Vanilla oats topped off with brown sugar and flaxseed just sounds healthy and wonderful, doesn’t it? You don’t even stir it until the morning. It would be harder to make instant oatmeal in the microwave. Get the recipe here. This recipe is so good, you would never expect it to be good for you too! It’s packed with chia seeds, coconut sugar, yogurt, and cashew butter. Bonus: you can switch out the cashew butter for Nutella or peanut butter if that’s more your speed. Recipe here. If you didn’t know already, steel-cut oats are chewier and nuttier than rolled or quick-cooking oats. 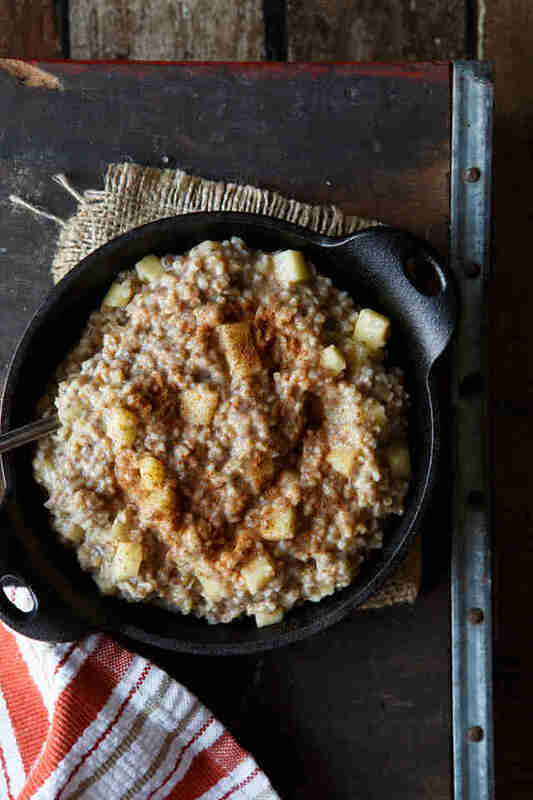 They’re pretty ideal for overnight oats, and this recipe adds apples, cinnamon, and brown rice syrup (another thing you should familiarize yourself with). Start your morning off right with this recipe. Dara Pollak is a freelance writer and recipe creator. She likes her pasta with a side of bacon. Follow her @skinnypignyc.